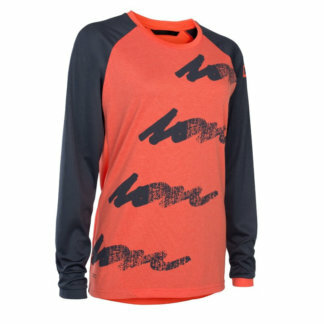 The ION Scrub women’s long sleeve MTB jersey features a unique fabric mix: The front body consists of DriRelease® jacquard mesh fabric offering some extra ventilation with the casual look of a regular cotton shirt. 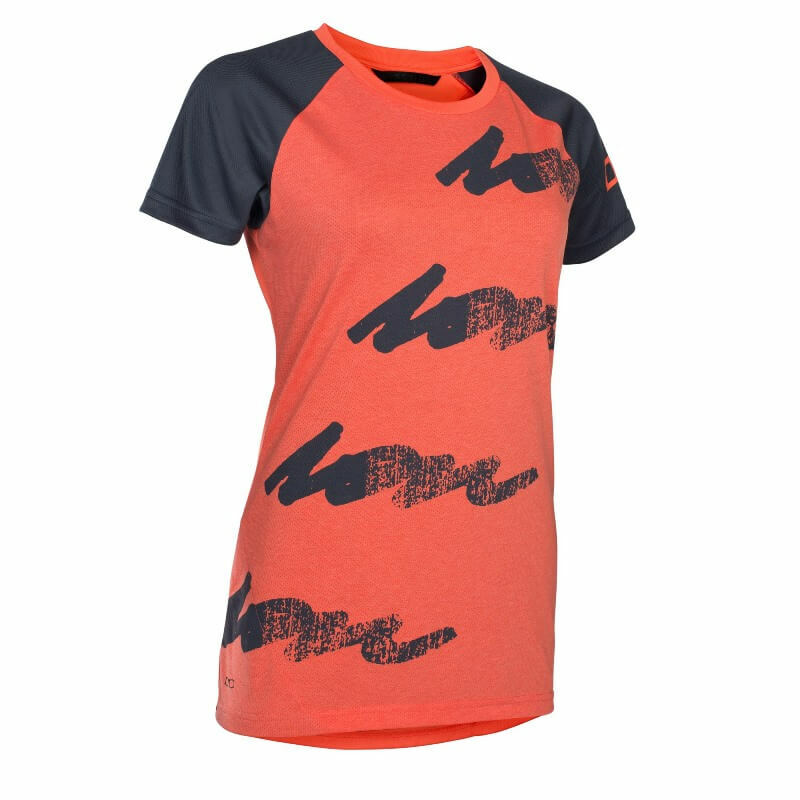 The very soft DriRelease® fabric dries four times faster than classic cotton. 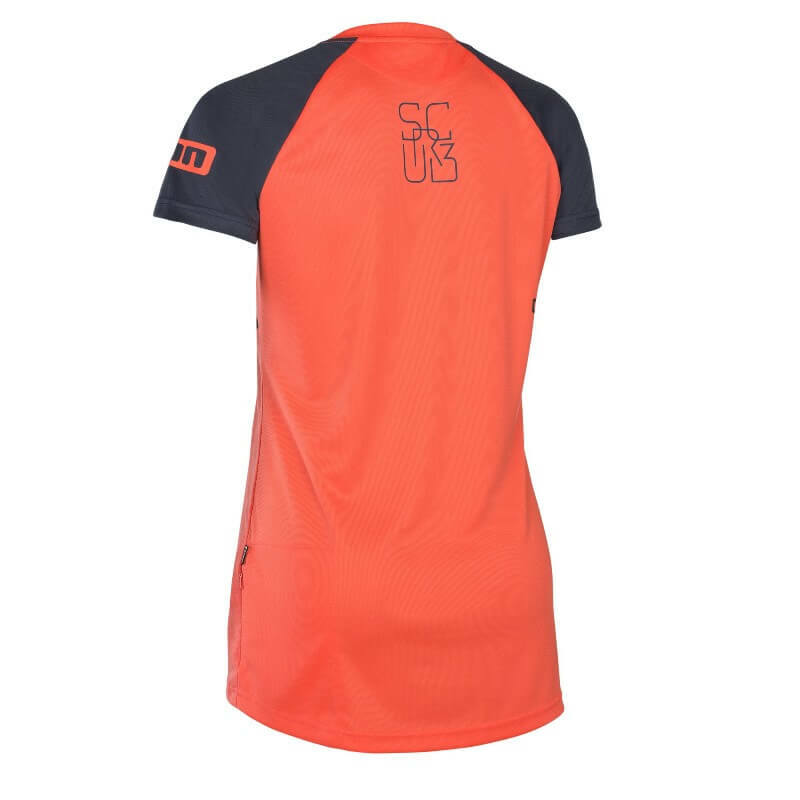 The sleeves and the back of the body section are made of light and very breathable pique mesh jersey, which is Sanitized® finished to keep you dry and fresh all the time. 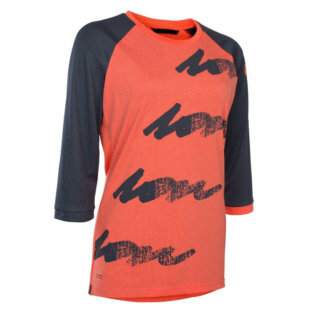 An integrated goggles/glasses wipe and lift pass pocket make the Scrub women’s long sleeve your perfect jersey for shredding the bike park or having an easy going tour. 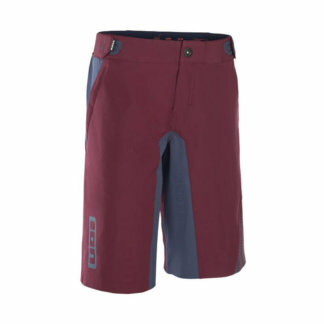 The ION Scrub women’s short sleeve MTB jersey is a perfect match to all women’s shorts in the ION bike collection.